Our collection of used and/or previously rented equipment. Only the best quality used/previously rented equipment will find its way in here for you to rent at HUGE discounts over our brand new inventory. **You can also receive a discount on purchasing the extended Apple Care coverage if it is still available to purchase! 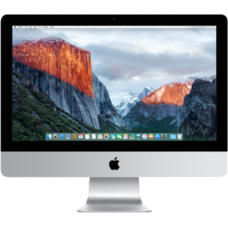 iMac 4K Retina (USED)(3.1GHz quad-core i5, 8GB Memory, 1TB Hard Drive)This versatile desktop setup p..